There are many ways to support the mission of Chapman University and receive tax benefits. Some even provide income! Click on a gift model below to learn more. 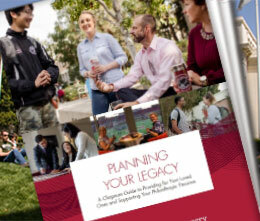 You designate Chapman University as the beneficiary of your asset by will, living trust or beneficiary designation form. 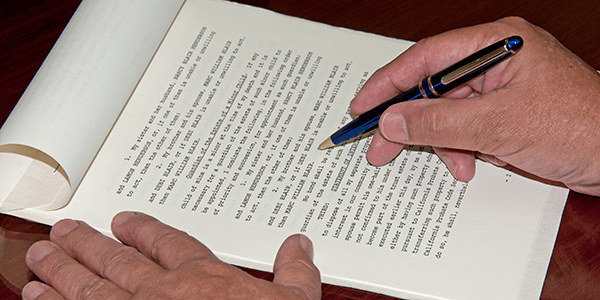 Congress has enacted a permanent IRA charitable rollover. Transfer a portion of your required minimum distribution from your IRA account to Chapman University this year and in future years. You can designate Chapman University as a beneficiary of a retirement, investment or bank account or your life insurance policy. 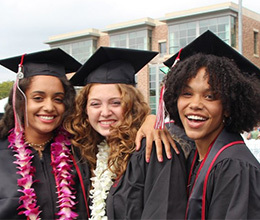 You transfer your cash or appreciated property to Chapman University in exchange for our promise to pay you fixed payments (with rates based on your age) for the rest of your life. You fund a trust that makes gifts to Chapman University for a number of years. Your family receives the trust remainder at substantial tax savings. You give a portion of your property to Chapman University to fund a charitable remainder trust, when the property sells you receive cash and income for life. Chapman University purchases your property for less than fair market value. You receive cash and a charitable deduction for the difference between the market value and purchase price. 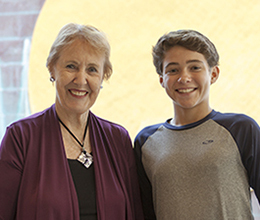 You provide your children with a stream of income while making a gift to Chapman University. You give your property to Chapman University but retain the right to use the property during your life.